There are times the whole family has some sewing work to do, and you cannot do it all on your own. 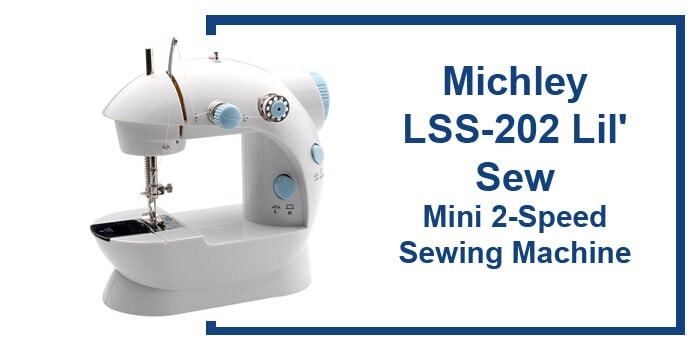 I would suggest that you get the Michley Lss-202 Lil’ Sew & Sew Mini 2-Speed Kids Sewing Machine which is highly convenient for use for all family members. Don’t be surprised if you find your boys interested in the art too! The bobbin is located on the top of the machine, a factor that makes threading very easy. Its positioning also allows for automatic threading. If you are a fan of thread rewinding, you are lucky because the drop-in bobbin also makes this possible. However, you have to keep re-positioning it after several stitches to avoid losing it. This is a feature that makes the machine exciting to use. If you are in a hurry to complete your sewing project, just press the button speed to double up the momentum. This is a feature that is not common with most other types of machines in the market. It would make your family interested in sewing just because they know they can use adrenaline-raising speeds. It comes with eight built-in stitches which include zig-zag, straight, buttonhole, satin, blind hem, back stitch, and scallop. The built-in stitches make it possible to switch between different sewing designs easily. They also save you time because you do not have to manually set the stitches in place, something that sometimes fails even with several attempts, especially for beginners. The reverse setting feature proves very useful to beginners because they can secure their stitches firmly. With the click of a button, you can reverse your stitches within no time, and the reverse stitches do not show on the fabric. It is just a smart way of keeping your sewing work intact. As its name suggests, the machine is small in size, and should not be considered a replacement for the regular big-sized sewing machines. However, it does not mean that the stitches are weaker than those by other machines. In any case, it is an ideal sewing tool for hemming and regular repairs, as well as for use by beginners who want to learn the art. The features are diverse, and it would be hard to believe that they are on such a compact machine. Q. Is the sewing machine compact enough to fit in my airplane hand luggage? A. The machine measures approximately 7 by 4 by 8 inches. A compact size for small luggage. You do not have to worry about freight charges while traveling. Q. Does the machine come with a variety of colors? Q. How safe is the machine for use by young children? A. The machine is ideal for use by both adults and children. With the correct supervisor, they can do some accomplish some useful tasks. I would recommend the Michley Lss-202 Lil’ Sew & Sew Mini 2-Speed Sewing Machine For anyone who is always on the go. 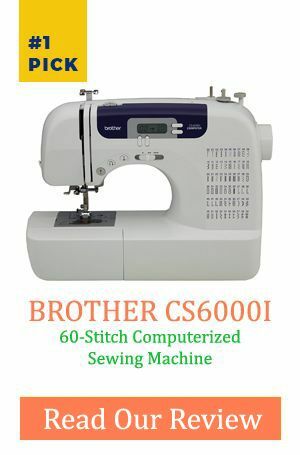 If you are the kind of person who cannot be separated from your sewing work, consider buying this machine and do away with the frustrations of being away from your sewing station for long periods of time. However, be prepared to deal with the little inconvenience of the unstable bobbin that sometimes loses its stability and gets off position. 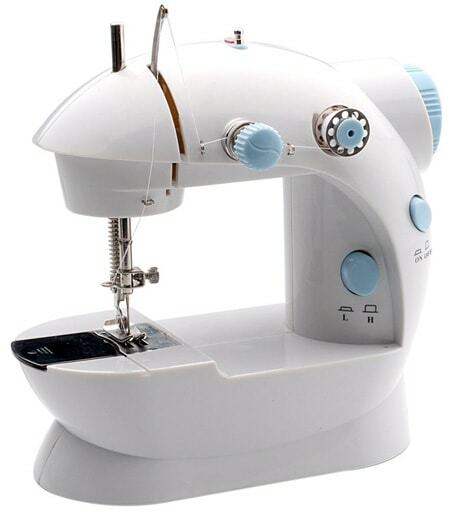 Do not let this factor get into you, making you forget about all the other amazing features of the sewing machine.